« Which comfort foods do Brits take on their travels? Before boarding your flight, you can browse the duty-free shops and settle down for a drink and a bite to eat. Many airports in the UK have a range of bars, cafes and restaurants ready to serve customers no matter what time of day, or night, it is. But, how do you know which airport provides the best choice and value? A study has been conducted by Netflights.com which took the ten most popular UK airports and scored them based on the highest online ratings, best average cost, and most vegetarian options. Birmingham Airport came out as the winners with an overall Netflights.com rating of 7.3. It was dubbed the best airport for food in the UK with a wide variety of meals suitable for vegetarians. Factory Bar and Kitchen is exclusive to Birmingham Airport and has ten sit-down meals suitable for vegetarians. Bottega Prosecco Bar is another Birmingham Airport exclusive and offers up to six vegetarian options. Heathrow was awarded second place and Liverpool took third spot. The survey awarded the lowest score to Newcastle International Airport, despite scoring well in the pricing category. However, it has limited vegetarian options and lower ratings online. Upgrades to the departure lounge are also planned for 2019. The study polled 2,000 British travellers and research showed that the average person spends a minimum of £11.48 on take-away food, like a sandwich or a burger whilst waiting for their flight. But those who preferred a sit-down meal at the airport were prepared to pay as much as £25 per person. The research also showed that the average amount spent on snacks like chocolate, sweets, crisps and fruit was £8 with an extra £7 on hot drinks. Heathrow Airport had the highest for luxury eateries, with eight of the highest-rated restaurants in the highest price band in the UK. If you want to indulge before a long-haul flight you can dine at Caviar House & Prunier Seafood Bar or at the Fortnum & Mason Bar located in terminal five. Gatwick and Heathrow airports also did well for international cuisines with both housing several Italian chains. In Scotland, Edinburgh Airport houses a Bar Burrito for travellers wanting some hearty Mexican food before their flight. 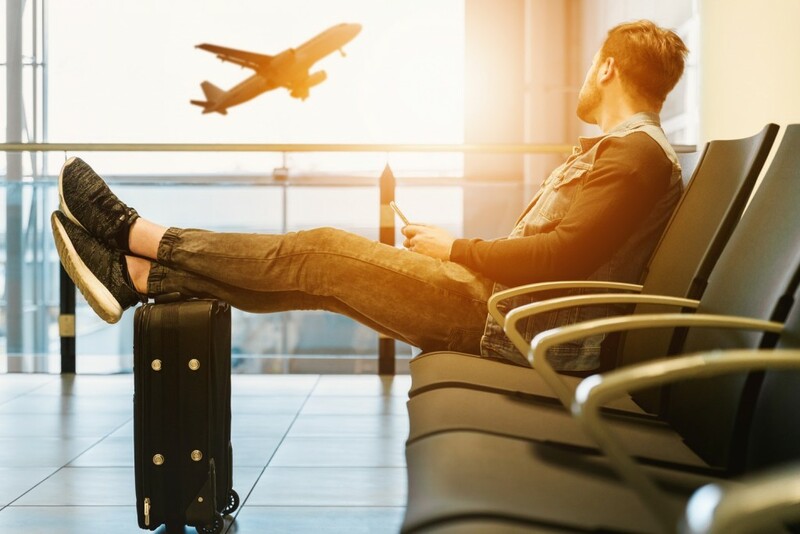 Travelling by air is a great way to see the world and to meet new people, so make sure you take the time to relax and unwind with some tasty food before boarding your flight for any cheap singles holidays you go on.